Apple, Microsoft and Samsung are “moving in the wrong direction” when it comes to sustainable product design, according to a major new study of the world’s biggest tech brands and their impact on the environment from Greenpeace. 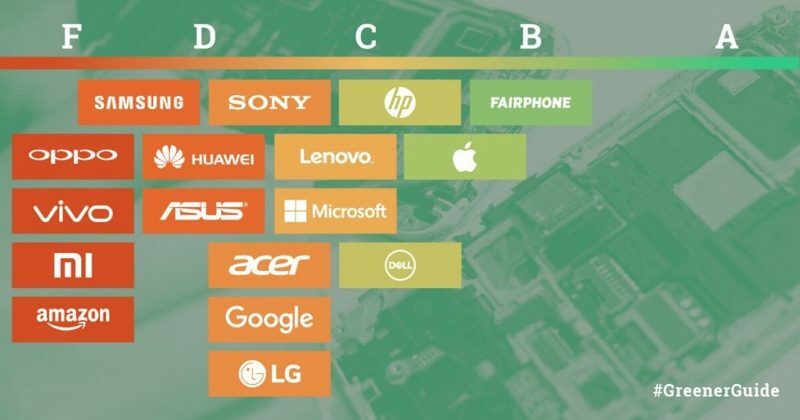 Fairphone and Apple are ahead of brands such as Samsung, Huawei and Amazon, which are failing to take responsibility for their environmental footprint, according to Greenpeace USA’s latest Guide to Greener Electronics. “Tech companies claim to be at the forefront of innovation, but their supply chains are stuck in the Industrial Age. We know they can change. Rather than fuelling climate change, these companies need to show the way forward, just as some companies like Google and Apple have with data centres run on renewables,” said Gary Cook, Senior IT Campaigner at Greenpeace USA. 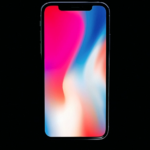 Apple was lauded for its commitment to renewable energy and reducing supply chain emissions and its efforts to be transparent about the chemicals that are used in its products. 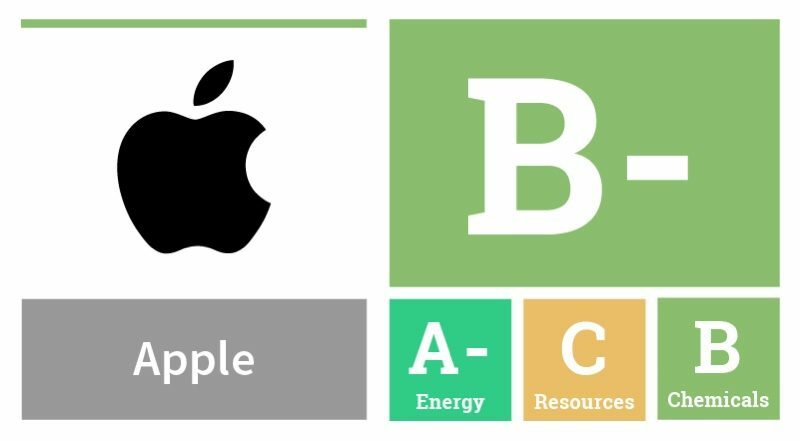 Apple’s overall Greenpeace “grade” was a B-, but broken down, the company received an A- for the aforementioned environmental efforts, a B for chemicals, and a C for resources, due in large part to the lack of repairability of its devices and its use of proprietary parts.